After studying phenomenology and semiotics, Tetsuo Kogawa became involved in critical writing of literature, philosophy, and media politics. 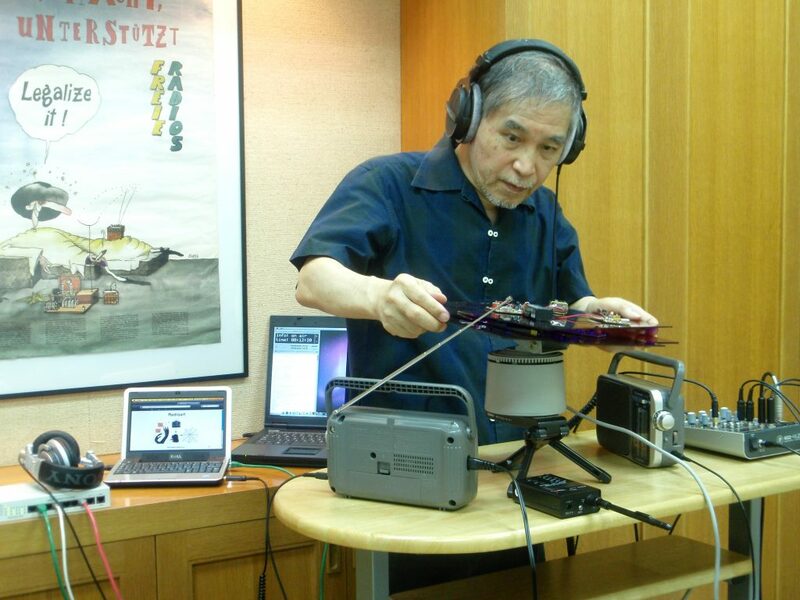 Meanwhile, his consistent enthusiasm for DIY handwork of electronics led him to a radical mix of free radio activities and performance art using advanced technologies. He seems to identify himself as a nomad practioner of radioart or radiation art rather than his official titles of media critic, university professor and museum director. He has been challenging radical experiments of radio art using and exhibiting his invented devices in various cities of the world.